The Riigikogu's constitutional committee has rejected a set of cost-cutting proposals filed by opposition Free Party and signed by 1,310 residents, which proposed measures to cut government costs by up to €4 million per year. The constitutional committee decided on Monday not to heed the appeal, Free Party spokespersons told BNS. The sole member of the standing committee to vote in favour of the proposals was Free Party MP and deputy chairman of the committee Jüri Adams. 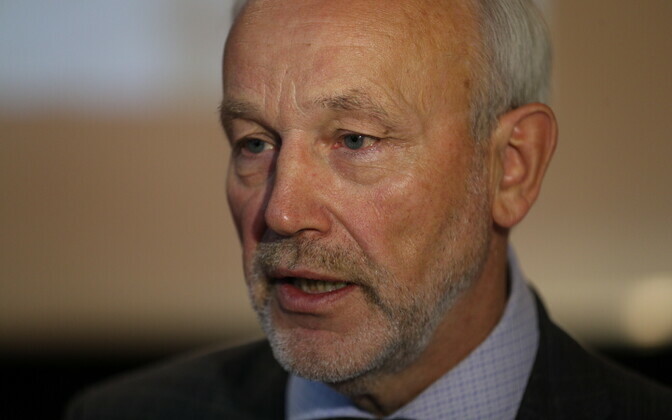 Conservative People's Party of Estonia (EKRE) MP Jaak Madison abstained. The petition calls for reducing the amount of money allocated to political parties from the state budget by half, ie. €2.7 million per year, cutting government spending by abolishing the three posts of second minister at three different ministries, along with the positions of seven advisers, together saving a reported €450,000 euros a year, and reducing Mps' costs by an estimated €841,000 a year. In the explanatory remarks accompanying the draft proposals, the Free Party said that cutting costs could be a definitive step at a time when state reform is being constantly talked about, but no actions follow. Juku-Kalle Raid, one of the authors of the petition, described it as "particularly ironic and weird" that the reasons the committee dumped the proposals included one suggesting the cuts were too small. "Why couldn't parties collect membership fees instead, if they wish to tour the country in bright-coloured buses to meet voters?'' asked Mr Raid. ''But it's more difficult to collect membership fees. It's simpler to get the desired amount by going after it from the taxpayer," he went on. Free Party Chair Kaul Nurm argued that the duplicate ministerial jobs at the top of three ministries were created only to enable the three parties of the coalition to get an additional ministerial position each. The three ministries in question are the Ministry of Finance, the Ministry of Economic Affairs and Communication, and the Ministry of Social Affairs. The six ministerial positions are shared by all three coalition parties, Centre, the Social Democratic Party (SDE) and Isamaa/Pro Patria, two posts to each party. "On the basis of that logic, we could put three ministers in each ministry, as they do in Bosnia-Herzegovina," Mr Nurm added. The Free Party, which has half a dozen seats in parliament, places the reduction of bureaucracy high up on its list of priorities, as well as a reduction in taxation – a recent Free Party proposal was to cut personal income tax to 12%. Kaul Nurm is its third leader in the past 12 months.